Caught with a flat? Well, how about that. Don't you worry, this step-by-step guide will help you change your tyre in no time. 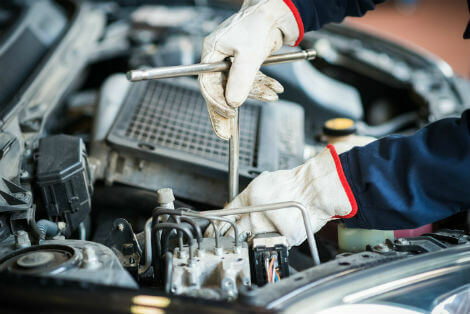 You’re driving along, happily going about your business, when all of a sudden something doesn’t feel right, perhaps you even hear a flapping noise from one of your car’s wheels. You get out to discover you’ve got a flat tyre. Don’t panic, it’s not the end of the world. But it’s also not going to fix itself, so roll up your sleeves and get stuck in! As with most things in motoring, preparation is key. 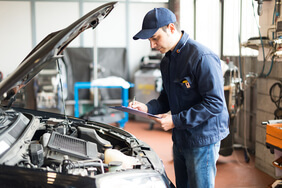 With that in mind, ensure you have the basic kit already in the vehicle to get you back up and running. and, of course, a spare tyre that’s in good condition. 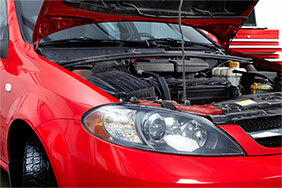 In addition, you may wish to have some oil-based lubricant handy such as WD40. A luminous high-vis jacket, a torch in case it’s dark, some gloves to stop your hands getting filthy, and a roll of old carpet to kneel on may also come in handy. If your flat happens while you’re driving, put on the hazard lights and slow down to about 5mph. Pull in at the first convenient, safe place, away from heavy traffic. If this isn’t possible, at least go somewhere the vehicle is clearly visible. For the record, never attempt to change a tyre on the hard shoulder of a motorway – it’s just too dangerous. Call your breakdown company. Now you’ve pulled over, make sure the car is parked on the flat – don’t try to change a tyre on uneven ground. 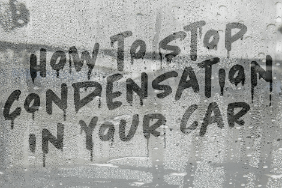 Put the hand brake on firmly and put the car into first gear – or park if it’s an automatic. Place a rubber wheel chock in front and behind the wheel diagonal to the one you’re changing. For example, if the flat is front passenger side, place chocks around the rear driver-side wheel. Now get your reflective triangle and put it about 20 metres behind the car. Where this goes depends on what road you’re on, really. If you’re on a winding lane, for example, put it in a place that will warn approaching drivers you’re there and parked up. Popping the bonnet up is also a good tip to let other drivers know you’re repairing something too. Check the spare tyre is inflated properly and that you have everything you need. 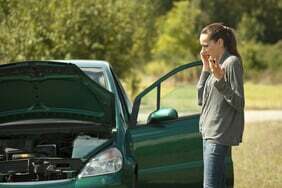 With all your tools out in front of you and the car securely in place, take off the hubcaps with the screwdriver (if your car has them). 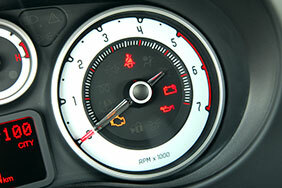 Your next step is to loosen the wheel nuts, turning anti-clockwise. Do this while the car is on the floor, as the weight will help you. Don’t take the nuts off at this point, just loosen them so they’re finger tight. If they’re too stiff to move, spray some lubricant on each nut and try again. If you’ve got locking wheel nuts, you’ll need to find the key for them too. You need to find the jacking point on the car. This will be made clear in the user manual and is something you really want to get right. If you put the jack head in the wrong place, it might go through the floor of your car when you start raising it up. 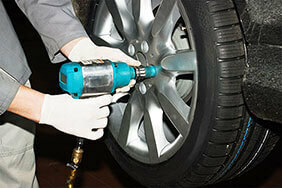 Lift the car high enough so a fully inflated tyre can go in its place. REMEMBER: It’s important you never, ever go under any vehicle that’s only raised up by a jack. Now remove the wheel nuts completely, and put them in safe place so they don’t roll away. Remove the flat tyre and put it down flat. Put the new tyre in place, and put the wheel nuts back on, just tight enough so the new wheel won’t come off. Lower the vehicle and only remove the jack when the car is firmly on the ground. Now tighten the wheel nuts using the socket spanner, turning clockwise. Tighten in a diagonal fashion – for example, if you’ve tightened the nut at the 10 o’clock position, tighten the one at 4 o’clock next, and so on until they’re all as tight as you can get them with your hand. Pop the hubcap back on and put all the equipment away. There are no marks awarded for speed, so take your time and don’t rush. You’ll also need to get the old tyre mended as soon as possible. If, when investigating the flat tyre, you discover something more serious is wrong with your car, you’ll probably need professional help.